Love this app! It very interesting!! 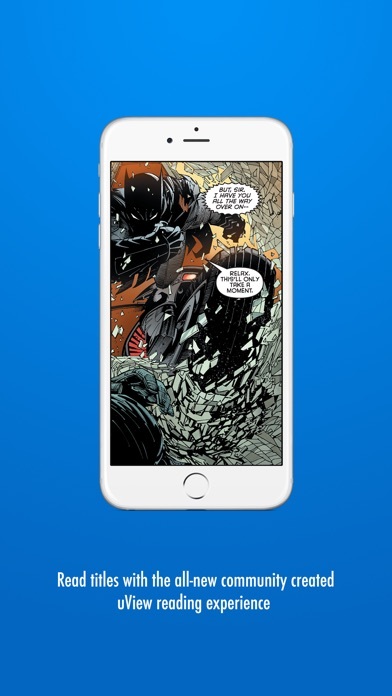 Welcome to Comics Plus 8.0 — this MASSIVE update has been designed exclusively for iOS 8 and introduces several all-new features for iOS 8 users! 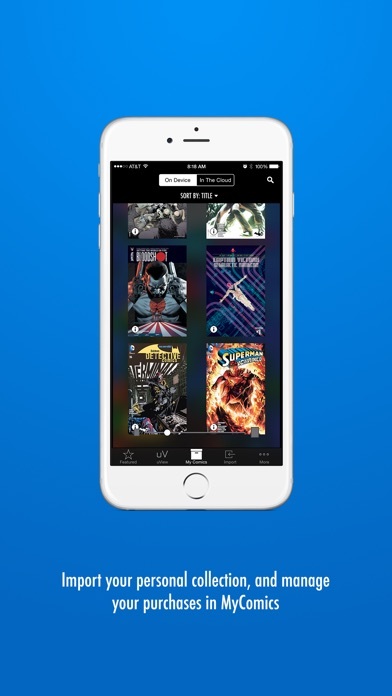 ALL-NEW DESIGN — Comics Plus 8.0 has been rebuilt from scratch for iOS 8, taking advantage of the power of the latest and greatest mobile devices. The app features a slick design that makes it easy to navigate through our virtual shelves and find exactly what you’re looking for. Want to sort the store by your favorite brand instead of by publisher? No problem — our built in FILTER system makes it easier than ever to view our digital store the way YOU want to view it. 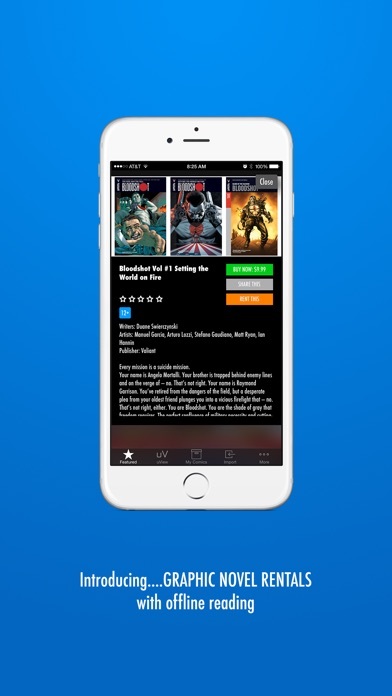 uVIEW ENHANCED READING EXPERIENCE — Brand-new to Comics Plus is uView! These community created reading experiences are actually made ON YOUR iPAD! 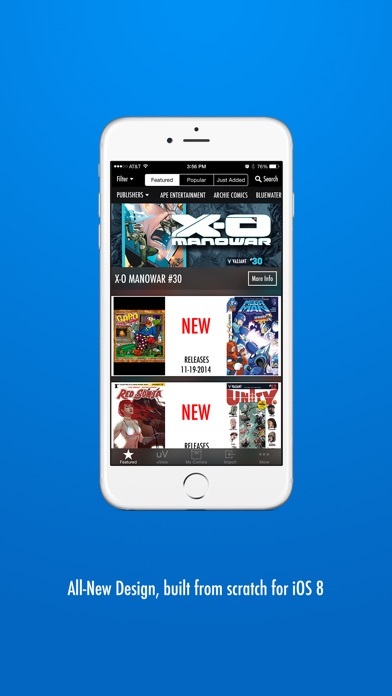 That’s right - the app where you can BUY your comics — and COLLECT your comics — is the SAME place you can now uVIEW your comics! uView is available right now for ALL users to edit their Imported Comics and make uViews on your iPad. IMPORT YOUR PERSONAL COLLECTION — Speaking of that, Comics Plus now supports ePub, PDF, CBR and CBZ files! 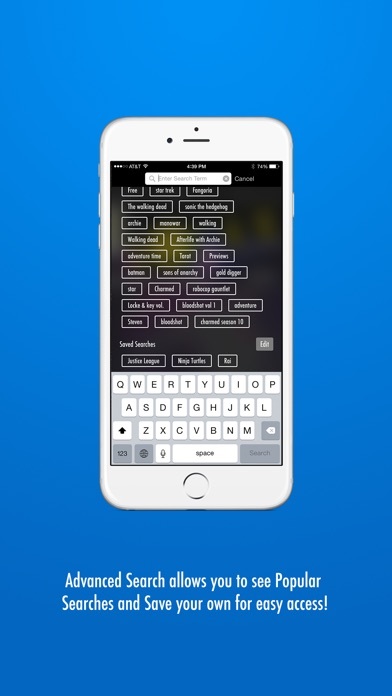 Import your personal collection and they’ll show up just like your purchased titles in MyComics. This is THE BEST way to read your digital collection! IN-APP PARENTAL CONTROLS — Parents, check out the Settings tab where you can enter a personal pincode and keep little eyes away from more mature content. IMPORTANT NOTE -- If you have any issues with the updates, please email us at SUPPORT@IVERSEMEDIA.COM -- leaving a review doesn't give us any way to contact you to help you with your upgrades. We're happy to assist! The app does the work for you.